Former Nissan Motor Co Chairman Carlos Ghosn was set to be released on $8.9 million bail on Wednesday after a Tokyo court rejected a last-minute attempt by prosecutors to keep the once-feted executive in prison. Ghosn, a former titan of the global auto industry, has spent more than 100 days detained in a small, unheated room since his Nov. 19 arrest for alleged financial misconduct. The Tokyo District Court on Tuesday granted his release on 1 billion yen ($8.9 million) bail after his lawyers assured the court that Ghosn would submit to extensive surveillance. The release would allow Ghosn, who turns 65 on Saturday, to meet his newly hired legal team frequently and build a defence ahead of his trial. News of the successful bail request on Tuesday sent hundreds of reporters, photographers and TV crews racing to the detention centre in eastern Tokyo. Many camped there overnight to secure places for their equipment. Ghosn faces charges of aggravated breach of trust and under-reporting his compensation to the tune of $82 million at Nissan for nearly a decade. If convicted on all the charges, he faces up to a decade in jail. The ex-chairman of Nissan, Renault SA and Mitsubishi Motors Corp has denied any wrongdoing. "I am innocent and totally committed to vigorously defending myself in a fair trial against these meritless and unsubstantiated accusations," he said in a statement on Tuesday. The case has cast a harsh light on Japan's criminal justice system, which allows suspects to be detained for long periods and prohibits defense lawyers from being present during interrogations that can last eight hours a day. Ghosn last month hired lawyer Junichiro Hironaka, nicknamed "the Razor" for his success in several high-profile cases, to lead his case. Though the granting of bail represents a significant development, Ghosn still faces a criminal justice system in which only three of every 100 defendants who plead not guilty are acquitted. 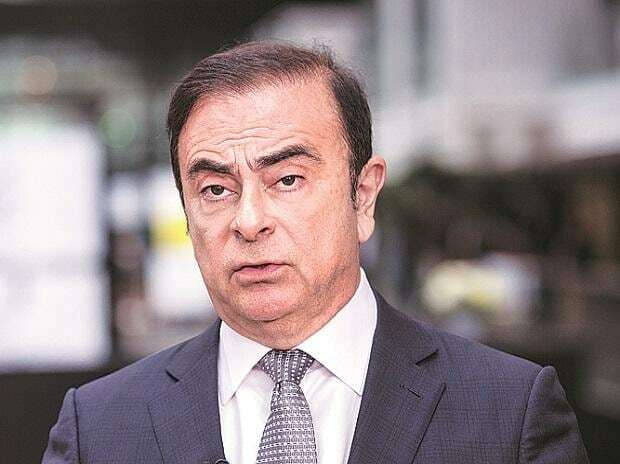 There is also no plea-bargaining mechanism that would allow Ghosn to agree to lesser charges for a lighter sentence.